I want to extend a personal invitation to the Gathering Of The Orange in Pontiac Il August 30-September 3 .We are featuring D series tractors and any variations of Allis plows. We are also attempting to collect 55 D-21s for there 55th Anniversary .I am very confident with conversations i have had with several of you people , I feel we can get closer to 100!!! If there is someone that needs hauling of a D-21 to our show ,i have a friend for a reasonable rate could help that to happen . Anyone with questions please text ,call or PM me . Thanks in advance , and with all of your participation ,I hope we can make this a once in a lifetime event . THANK YOU !!! Rich 815-257-4874 PS !! We will have a pull sled here for fun that you to make the dirt and smoke fly ! More to follow ! Looking forward to this Rich! 210 "too hot to farm" puller, part of the "insane pumpkin posse". Owner of Guenther Heritage Diesel, specializing in fuel injection systems on heritage era tractors. stock rebuilds to all out pullers! Thought I'd move it to the top. If I get there on Thursday will there be a pimative campsite available? Can I stay in the trailer parking space? I know it's in Pontiac, IL, but what's the exact location of the show? I need an address or the name of the place it's being held. I was looking on the website and can't seem to find if their will be any farm stock classes. Any info wood be great. Me and my brother would love to bring our 210 and 220 down to play. about all tractor pulling;; call' david-herz 219-616-2016 thats who will know about all classes pulling. each day of the show. Rich told me friday afternoon or evening is when everyone will get to hook their tractor to the sled just for fun. Not sure if it'll get broken down into different groups so the sled can somewhat match the tractors without constantly resetting the sled. Our too hot to farm ISP class and a few others too, pull Saturday night. Oh man didn't know about this, only about a 2 hour drive for me. Maybe I could make a day trip outta it. Can't get my two WDs up there but could enjoy a good gathering of orange! Rich, we are really looking forward to meeting you with our serial number 4355 Series II D21. For any of us traveling from the north on I-39, you may turn off at Minonk, Illinois and head east. 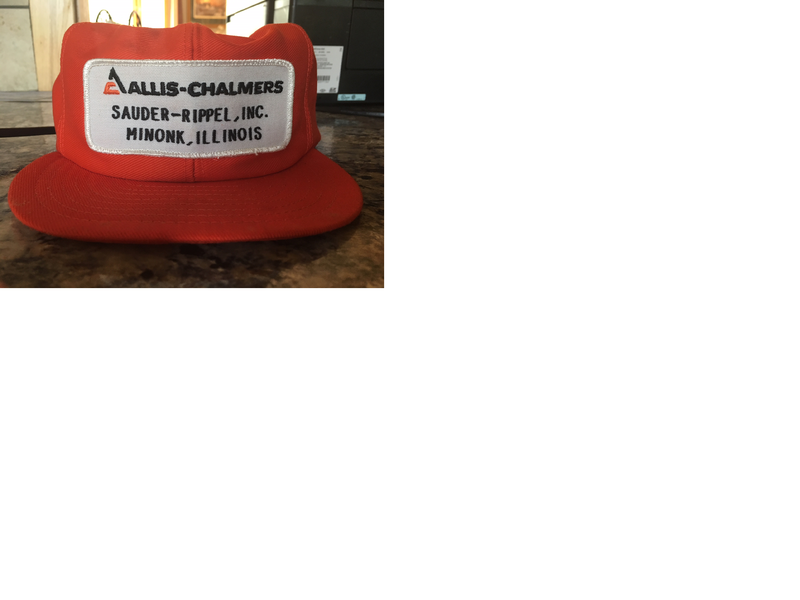 In 1985, just north if the exit as you turn off I-39 and drive through Minonk, there was an Allis-Chalmers dealer along I-39 when 39 was a two lane highway......please see the dealer's name on my hat. Almost here! My 7040 is almost painted at the paint shop, then time to re-assemble. There will be many things I'll have to detail later, but it should make it! all the pulls wear rain out tonight. rained very hard for a long time standing water' may not hook sat or sun.